Excellent article. I agree with most of what you’ve said about the ultranationalist, pseudo post-colonialism espoused by the Maldivian ruling elite in order to consolidate power. It is true that native elites, that inherited power from the colonialists, for the most part recreated their own version of structural violence against the less fortunate majority. There is one aspect of your article I don’t agree with. “With the archipelago’s population growing by 400 percent during the Brits’ 30-year stay, the unintentional effect of the occupation was to create an economic power base to rival that of Male’ for the first time. The political effects were soon seen in the breakaway Suvadive Republic. In South East Asia, European colonialism resulted in an affluent ethnic minority in postcolonial states like Malaysia and Indonesia, which created an socio-economic imbalance that is still fiercely divisive in those countries. Sometimes constructed racial differences and exclusionary practices, that existed before colonialism, were exploited and exaggerated if and when it played into Britain’s imperial ambitions. Colonialist strategies varied over time and differed depending on the colonizer/colonized people/region and its local politics/natural resources, but even administrative colonialism (such as Dutch, Portuguese and British in the Maldives) has had the propensity to affect present day realities – i.e. accentuated identities, nationalism, culture, and religiosity. If you ask people from mainland China and Hong Kong, their perception of British colonialism would obviously vary as colonial contact was different due to colonialists’ interests. If you ask an Australian of European descent and an aboriginal about the legacy of colonialism in Australia, views would differ. These discourses do not occur out of a vacuum, it is the result of the changing/differing nature of the colonial contact made, but it’s not the result of “unintentional” coincidence. Great point. There’s definitely a whole other history to be written about the British machinations in Addu around the time of the renegotiated lease for RAF Gan and the breakaway Suvadive Republic (would take a little digging but I’m sure the records are out there somewhere). But I wouldn’t say the British presence in Addu resulted in any socio-economic imbalances in the Maldives. The British did not administer the islands as they were only a protectorate, and power stayed firmly entrenched in Male. 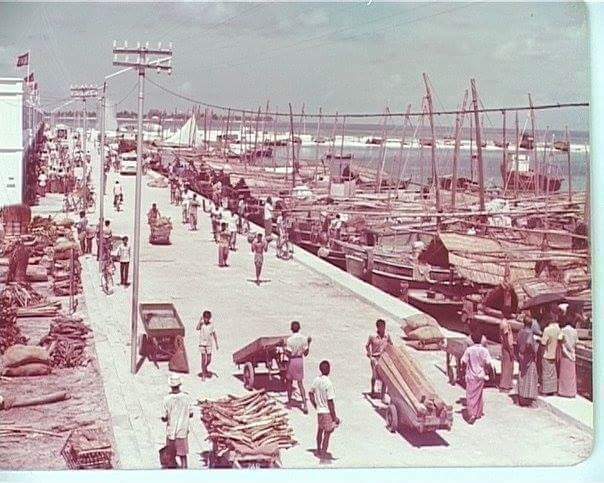 Adduans (and other South Asians) were used only as workers on the base. They were not given civil service roles as these have always been based far away in Male. If anything, the British base in Gan gave those of the southern atolls one last taste of there traditional independence from Male, before the greater centralisation that accompanied the modern state. The socioeconomic imbalance was an aspect of South East Asia’s experience of colonialism. In a similar manner, the effect RAF in Addu had was not “unintentional” because Britain was well-informed of existing tensions between autocratic elite in Male’ and the neglected south. The word “protectorate” is a meaningless euphemism created to control anti-colonial movements that began one century into European colonialism. It was when colonialism needed a face-lift, a term used for “half-civilized” natives who had developed aristocracies, as imperial Britain took that as a measure of how civilized a society was. In certain ways it doesn’t differ much from a colony because even some de facto colonies’ native leaders had control over culture and traditions, even though they didn’t control foreign policy and the armed forces. However, you’re right that the Maldives had control over its armed forces but Britain controlled Maldives’ foreign policy and its local politics was undoubtedly affected by the British presence (however minimal). What you referred to as “independence” is really a relationship of inter-dependency that proved to be worse for ordinary Addu/Huvadhoo/Fuvahmulah people when the British abandoned them. British forces left in the early 70s after brutally securing Diego Garcia in the late 60s, which made the military airbase in Gan useless for imperial Britain. PS. Dhovemi was the first Buddhist King to convert, not Koimala. An excellent article. While I agree that our culture is increasingly being influence by Arab culture (that’s sadly being passed of as religious practices), I think that some of the changes are not necessarily due to Arabisation (a term that’s too loaded for my liking). For an example, I would say women wearing the headscarf does not constitute “Arabization” but women adopting the abaya etc does constitute “Arabization”. It’s a sensitive subject (even though it shouldn’t be) and I find that people cannot have a civilised discussion about this and that’s a shame.